With this “race for the white house” upon us, I cannot help but think about these two words. I will not be getting political here. I believe it is up to each of us to have our own beliefs and opinions and our own freedom to choose. However, as I watch a race where I believe a particular candidate will do or say anything to be elected, I cannot help but think of the power behind these words: honesty and integrity. I cannot help but wonder when our elected officials stopped being the government by the people for the people as designed by our founding fathers. Did you ever stop to think how, in just 240 short years since our American revolution, we could screw so much up? I also cannot help but wonder when becoming President of the United States become such a prize that it no longer represents all people in this great Country. 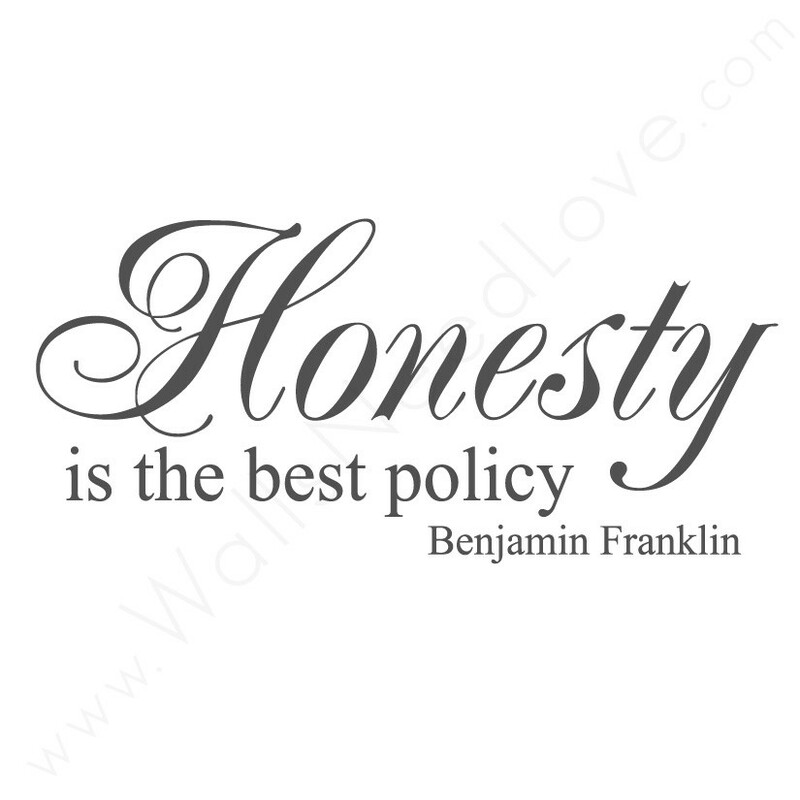 In the life of my personal family, I taught my children the value of honesty and integrity. I believe our current political races teach our youth that it is OK to lie to personal advantage. The whole situation makes me quite sad for the future of our Country. As for myself, I will NEVER tell someone I am going to do something and not complete the task. I taught my children not to lie to anyone and that, if you do, in the end, the truth will come out. I learned these lessons by personal observation when I was young. I saw the affects of my own relative hurting others by not being truthful (you can read more in my book www.ifIknewthenbook.com to learn more). I believe it is so important to live in truth. I believe that truth gives you freedom. Think about that for a moment…. When someone does not personally tell you the truth, whether it is a spouse, a coworker, a sibling, or your child – how does that make you feel? Personally, if someone does not act truthful or complete what they say I do feel betrayed and am more cautious in dealing with that person the next time. However, please note: I learned some years ago to let these feelings go, to forgive the person and move forward. I learned that the only person hurt while staying in a negative and hurtful situation is myself. One thing that is most important to consider here is how the memory of the betrayal affects our current and future opinions and actions about that person or a specific situation. As I personally have stated many times, my goal is to have a nice day, every day, so I can enjoy life. It’s important to assess and recognize our feelings. If our feelings are of hate or retaliation, we need to take a moment to stop, reassess, and determine the best way to move forward to insure a positive life experience. What do you expect for the future and what will you accept in your life? How do you treat others? These are questions you can use to start to live in your own truth and integrity. Starting with ourselves to make ourselves better will insure a better future. We are only able to control ourselves, our behavior, our feelings and our actions. After all, it is time to enjoy life. It is Time to Play. Doreen Guma, MA, FACHE, CPC, CLC is a board certified healthcare executive, a certified professional life coach, the founder of the Time to Play Foundation, a 501c3 not for profit corporation inspiring everyone to enjoy life and author of If I Knew Then What I Know Now, Our Quest for Quality of Life. The concept behind time to Play and the Time to Play Foundation was absolutely created out of LOVE. Please see http://www.timetoplay.com/ for more information. Want to be fearless, courageous and to find your confidence? Act! Can Food Intolerance Cause Behavior Issues in Children? Follow My Rules - Or Else! Could Demi Moore Have Benefitted from www.timetoplay.com? Looking at Achievements - Here's to 2011!